All active 4-H members and leaders are invited to attend! 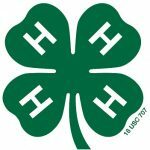 4-H Digital Ambassadors: Seeking youth and adult 4-H’ers to help teach digital literacy to Marathon County community members. Training in Chicago in March. More details will be posted on the website in the coming weeks! Join the upcoming quiz bowl and skillathon practices.